Welcome at a new episode of our special feature "crossroads" in which I challenge you to create a "fusion" haiku from two haiku given. I love this feature, and I think you all do love it, because I have read wonderful "fusion"-haiku in the episodes before this one. This week I love to challenge you to create a "fusion" haiku from two haiku written by Soseki Natsume, a haiku poet we have seen here at CDHK in one of our "theme-weeks" back in 2016. Let me first tell you a little bit more about him. 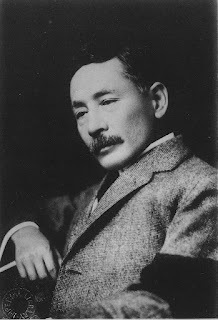 Natsume Sōseki (1867-1916), born Natsume Kinnosuke, was a Japanese novelist of the Meiji period (1868–1912). He is best known for his novels Kokoro, Botchan, I Am a Cat and his unfinished work Light and Darkness. He was also a scholar of British literature and composer of haiku, kanshi, and fairy tales. 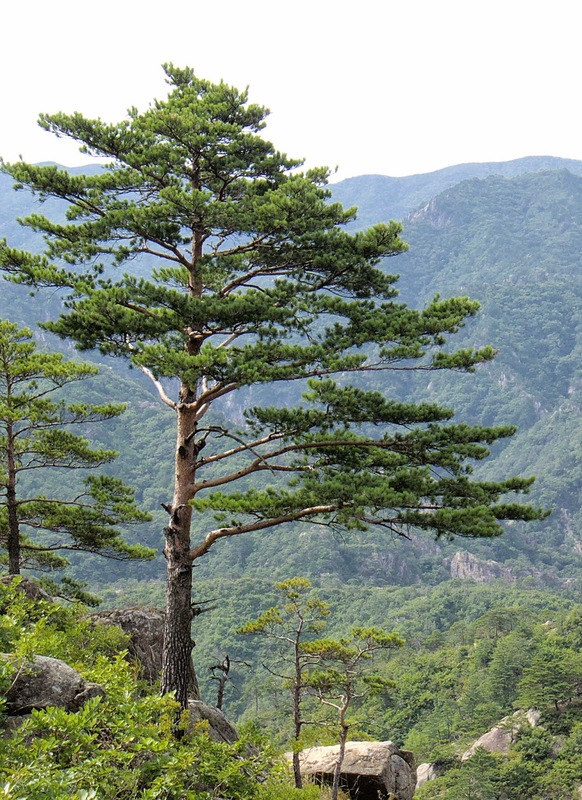 In Japan, he is often considered the greatest writer in modern Japanese history. He has had a profound effect on almost all important Japanese writers since. Born as Natsume Kinnosuke in the town of Babashita in the Edo region of Ushigome (present Kikui, Shinjuku), Sōseki began his life as an unwanted child, born to his mother late in her life, forty years old and his father then fifty-three. When he was born, he already had five siblings. Having five children and a toddler had created family insecurity and was in some ways a disgrace to the Natsume family. In 1868, a childless couple, Shiobara Masanosuke and his wife, adopted him until the age of nine, when the couple divorced. He returned to his family and was welcomed by his mother although regarded as a nuisance by his father. His mother died when he was fourteen, and his two eldest brothers died in 1887, intensifying his sense of insecurity. In 1887, Sōseki met Masaoka Shiki, a friend who would give him encouragement on the path to becoming a writer, which would ultimately be his career. Shiki tutored him in the art of composing haiku. From this point on, he began signing his poems with the name Sōseki, which is a Chinese idiom meaning "stubborn". In 1890, he entered the English Literature department, and quickly mastered the English language. In 1891 he produced a translation into English of the classical work Hōjōki. Sōseki graduated in 1893, and enrolled for some time as a graduate student and part-time teacher at the Tokyo Normal School. Basho once said: "Go to the pine-tree and learn from it". I love his work and I remember that in that "theme week" I mentioned I told you about two haiku by him that gave me the idea that he was familiar with the work of Basho. Those two haiku I love to give you here for our "crossroads" episode. Two wonderful haiku that show that Soseki was familiar with Basho's haiku, because you can easily "see" two renown haiku by Basho in this set by Soseki Natsume. Well ... what do you think of this "fusion" - haiku? I like this one (how immodest) but has it brought in the idea of fusing the two haiku by Soseki? This episode of "crossroads" is NOW OPEN for your submissions and will remain open until April 23rd at noon (CEST). Have fun! You make me blush my friend. Thank you for your kind words and the appreciation for this haiku. I like it. There's no crow, but if the crow had gone, there wouldn't be, would there? The silence is all. Soseki's haiku #1 strikes me as letting the tail wag the dog in pursuit of a fragment/phrase contrast. Soseki's haiku #2 is much better. Chèvrefeuille's haiku is by far my own favorite.